Munich Fabric Start | British Millerain Co. Ltd.
Munich Fabric Start is one of the biggest international textile events where we meet with our customers old and new to showcase the best of our Spring/Summer collection. 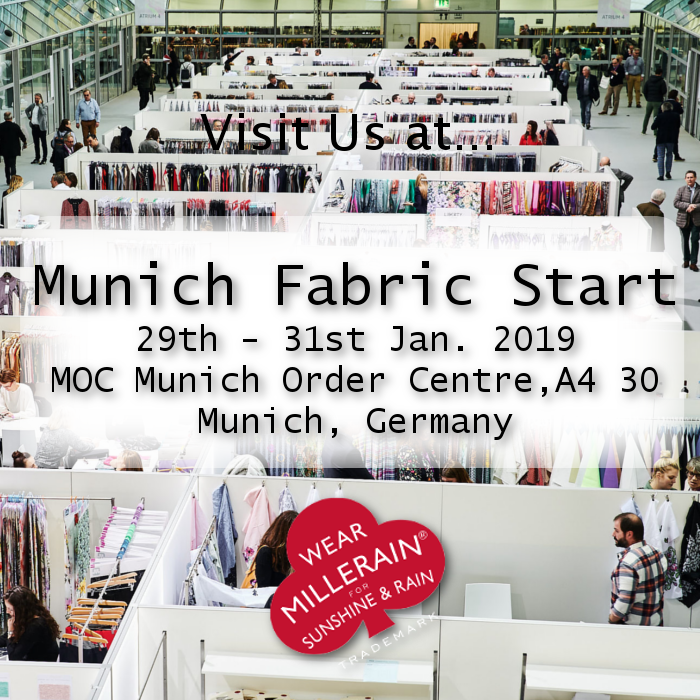 British Millerain and more than 950 other textile manufacturers from 37 countries come together to showcase their fabric collections at Munich. The exhibition caters to the demands of the fashion and apparel industry and never fails to inspire the thousands of professionals who travel from around the globe to visit the event. Visit us at A4 30!